The Flagstaff Police Department is seeking the public's help in identifying a burglary suspect. On Jan. 29 a male suspect jumped over the counter at The Flaming Wok in the Flagstaff Mall and entered the back office. He waited there until the mall was completely closed and spent several hours burglarizing the business. The suspect is shown in stills of security camera footage. 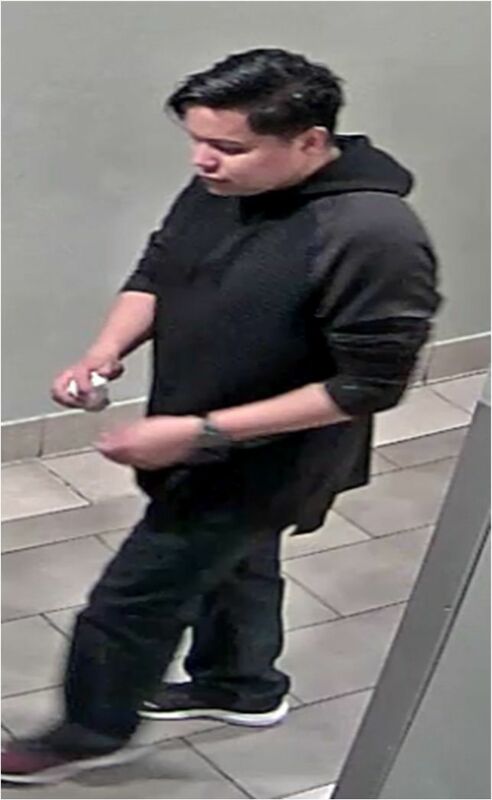 If you have any information about the possible identity of this person, please contact Det. Neuburger at 928-679-4091. The Flagstaff Police Department is seeking the public's help in identifying a woman who is wanted for vehicular burglary.